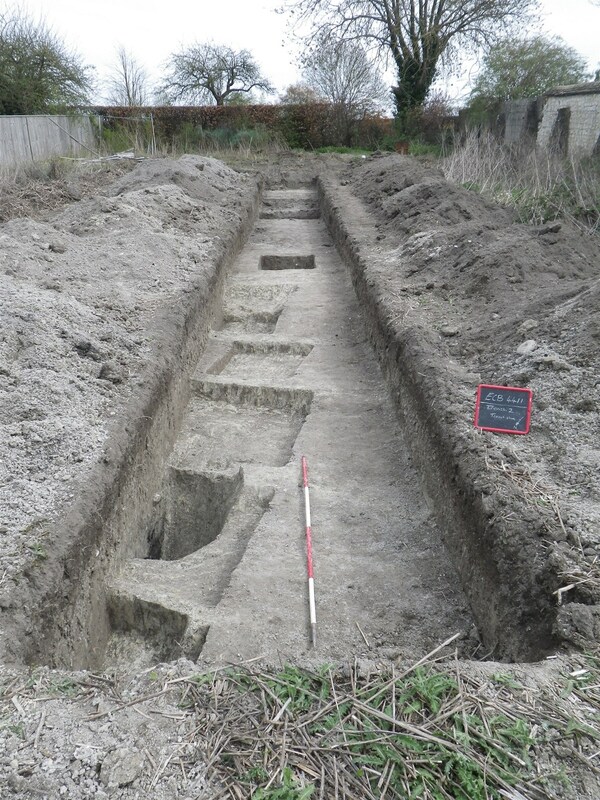 The two evaluation trenches, followed by targeted excavation of the proposed housing footprints and access road, found evidence of dense late medieval, early post-medieval and later post medieval activity with a series of extraction pits, postholes, ditches and structural features such as clunch foundations and possible beam slots. A later modern phase could beseen (possibly Victorian in date) with four large structural postholes along with clunch foundations at the northern edge of the site. 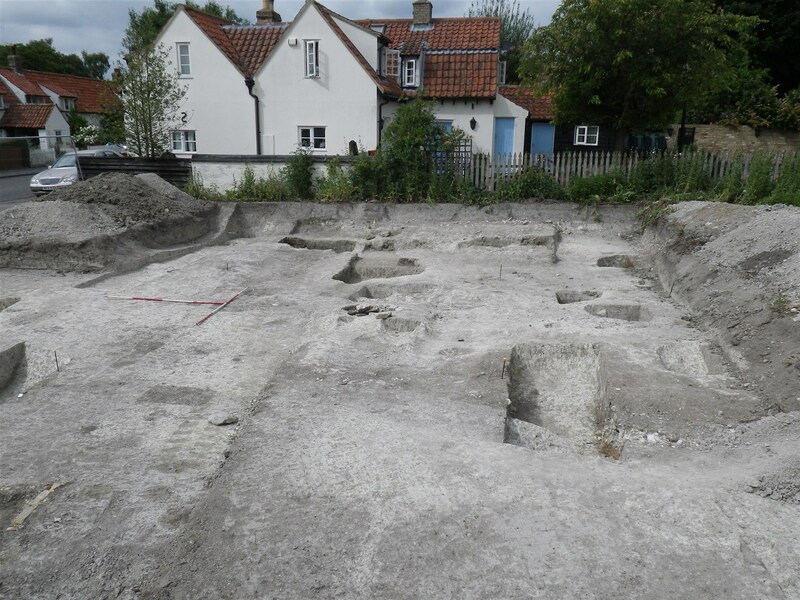 The possible levelling seen on site along with a cobbled surface is also most likely modern and related to the known structures on the street frontage seen on historic maps. Finds of note came from metal detecting of the topsoil and levelling layers and consisted of three Jettons, a late medieval dress pin, a hammered Medieval silver coin and various Victorian items such as buttons and cloths fasteners. 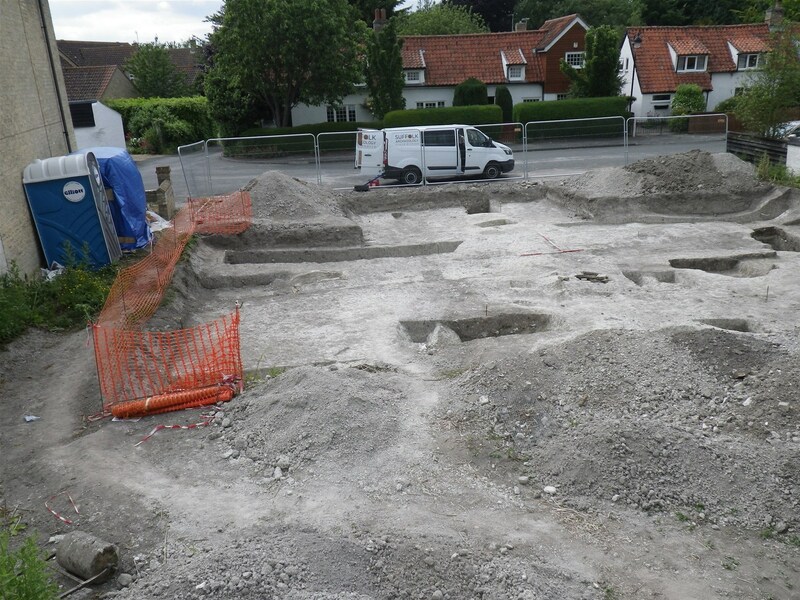 A post-excavation assessment report for the site is currently in production.